I was born and raised in Papillion, Nebraska, in a family who gives both financially and of their time when people are in need. Over the last few days, my Nebraska (and Iowa) family has witnessed the tremendous power of water. The flooding in the area has been life-changing and has caused many people we love and care about to experience loss related to the flooding. 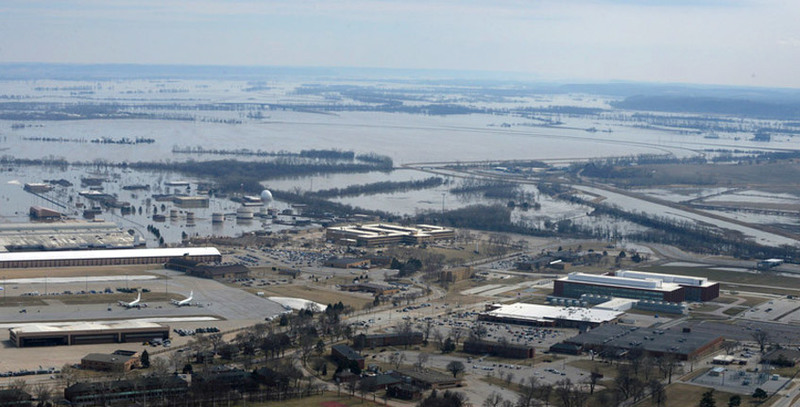 Not only do we serve patients who live in areas affected by flooding, I have seen patients in nursing homes in many of the smaller communities outside of Omaha that have experienced significant flooding. We have friends who live in these areas. The church my family attends has a campus in Fremont. The Midwest is a really a small world and we feel very connected to the people who call Nebraska and Iowa home. We want to help, first with finances and then with clean up and rebuilding. 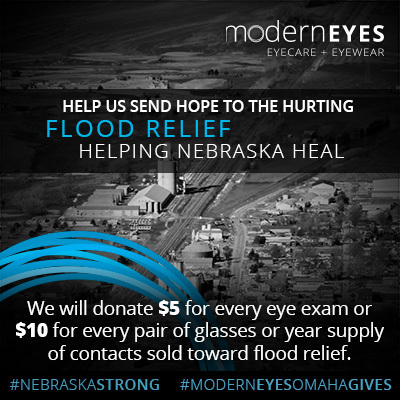 As an office, we’ve decided that we will donate $5 for every eye exam or $10 for every pair of glasses or annual supply of contacts purchased at ModernEyes Eyecare & Eyewear through the end of March. We will also be watching for opportunities to get "boots on the ground" to help with cleanup. If you had glasses lost as a result of flooding, you can reach out to VSP (Vision Service Plan) if you are a member for a voucher for a replacement pair of glasses and exam if needed. If you do not have VSP, the American Red Cross might be able to assist with getting a voucher for glasses as well. If you receive a voucher, please know we would be honored to help you with your eyecare needs during this time. We will be thinking of and praying for all those affected by the flooding in the meantime. We know that it will take time to recover, but we are #NebraskaStrong and will rally together and come out even stronger than before.